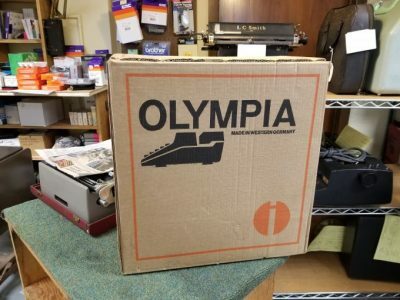 This Olympia SM9 typewriter is new in the box, never opened. 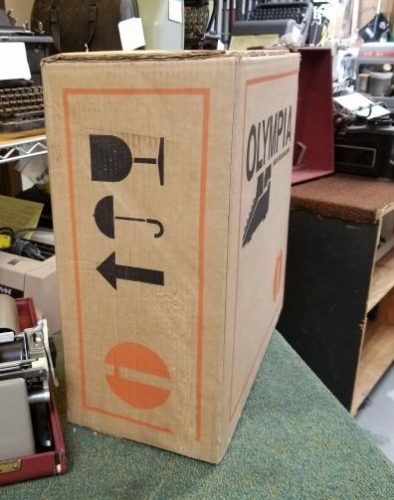 If the logo on the box is correct, this is the more modern version. 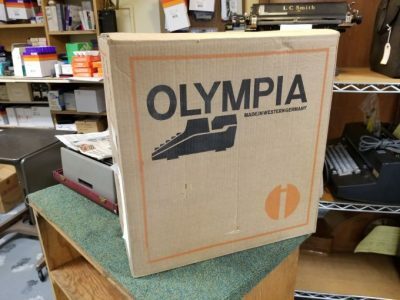 This consignment is from a customer whose mother owned an Olivetti Studio 44 from the Netherlands, moved to the Northwest and ordered a new Olympia typewriter in 1976. 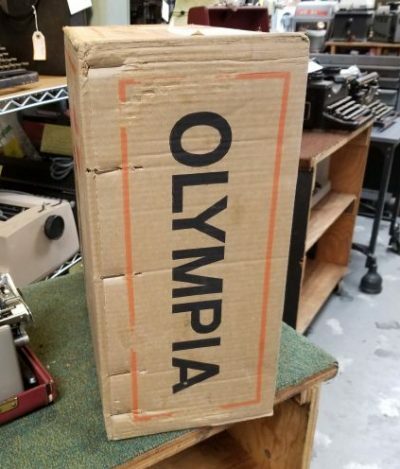 When it arrived, she continued to use the Olivetti and the Olympia was never opened. 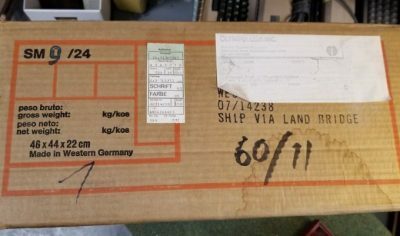 The machine is for sale unopened, hence all the pictures of the unopened box! 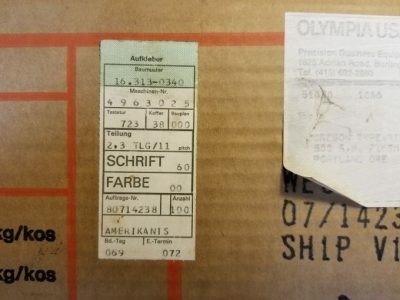 The serial number from the box label indicates it is from 1976 and the type face is number 60, Elite, 11 CPI. 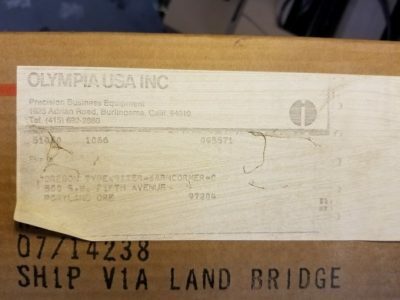 If you buy it, and it is not as described on the box label, I’ll take back the machine on the spot and give you a full refund. 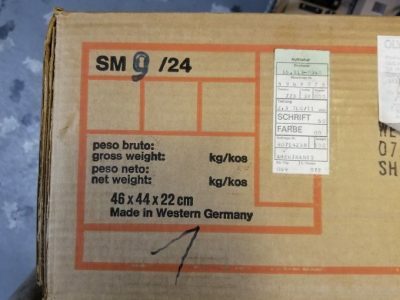 I will service the machine and cover it with the standard one year warranty. 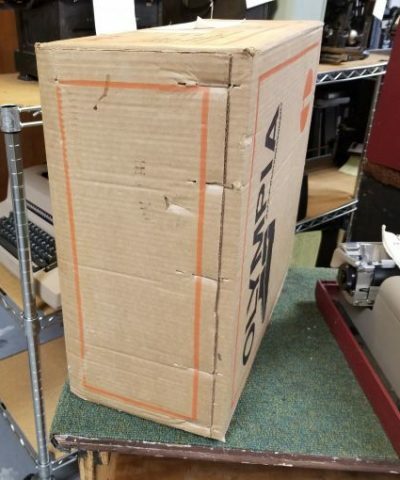 If you leave it unopened, the machine is sold as is.